Water Town Swim is a swim school headed by USA native Maria Di Fiore Solanki, who holds American Red Cross certification for teaching infants to adults. 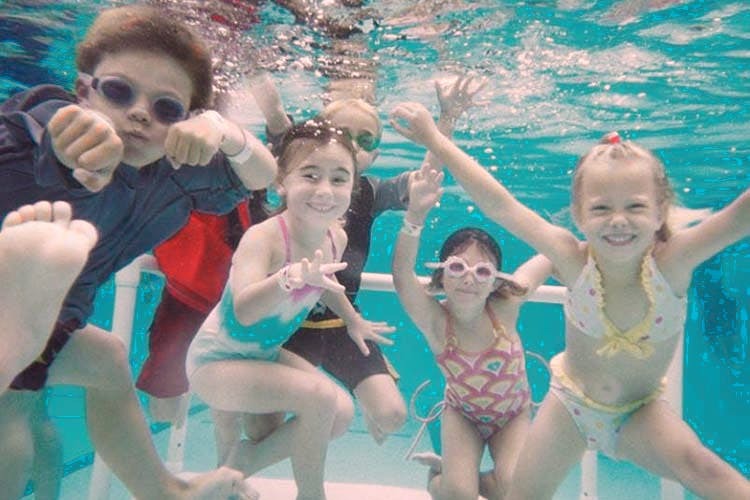 This swimming class not only focuses on your child’s form but also their personal development. These swimming classes are for children between four months to four years. Children up to two years of age need to be accompanied by a parent. They have four batches where they teach pool skills and underwater skills and swim skills. The levels defer depending on your child’s age. Maria not only teaches swimming but water safety as well. With a background in psychology with a special focus on child development, she designs her classes in such a way that they’re filled with songs, games and toys which help children reach their target while they’re having fun. Here’s a video which shows little swimmers taking to the pool! These classes take place in various locations across Delhi NCR. Check out their website for a location closest to you and start adding classes to your cart!